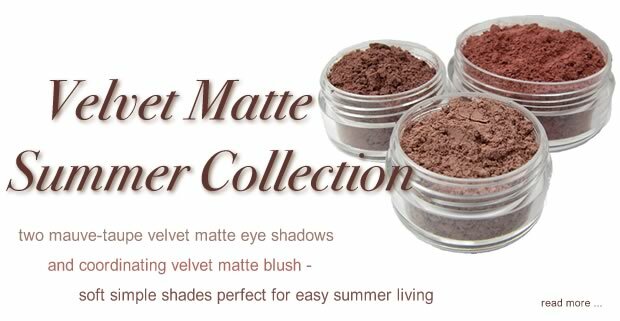 Two mauve-taupe velvet matte eye shadows and a coordinating velvet matte blush - soft simple shades perfect for easy summer living. Available individually or as a collection... for a limited time. Formulated using the finest minerals and pigments, oils and waxes, and natural preservatives and fragrances – Buff’d Cosmetics all-natural mineral makeup products are completely free of irritants and toxins that can be harmful to your skin.